The most innovative dividing curtain internationally available. 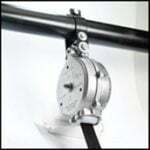 Our Center Drive Curtain is a unique design that uses internal tubular motors and a counterweight that eliminates the need for costly extension arms with straps connected at the upper structure to resist the torque of the motor. Utilizes a larger drive tube raising and lowering the curtain 25% faster than the competition. Curtain simply winds up on a centre drum. Depending on the curtain size, it is operated by one or two internal tubular motors. Each motor has incrediable torque with a speed of 14rpm. Each motor is equipped with integral up and down limit switches with locking push buttons and electromagnetic disk brakes for smooth and accurate stop without slippage and allows full braking power in the event of power failure. Internal motor system has a clean look with no wires or cables exposed. Internal driveshaft motors enable lower power requirement and lower torque to move with similar speed as standard external motors. Be warned, this curtain will become a show piece in your building. No expensive support structure required. For more information click here. 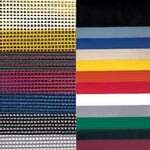 The new economical concertina dividing curtain that uses the fire retardant and mildew resistant vinyl and mesh. The fold up curtain offers a great solution for dividing your space and provides years of worry free service. Top axle with spools instead of multi path pulley and rope retraction for lower maintenance and simple operation. Drive Motor include switchgear with dual key delay system so motors cannot be reversed and burned out. Safety break arrestors are standard. Curtain lock safety device locks drive shaft if speed exceeds 0.5m per second. For facilities on a budget, old style walk draw curtains offer a cost effective option to separate courts. The new innovative curtain when the roof is low and no restrictions is required. 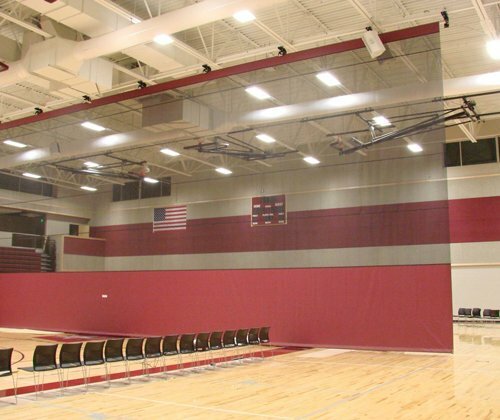 Peak-Fold Gym Divider Curtain is precisely designed to fold to exact ceiling contour of nearly any ceiling slope. When sloped ceilings require creative use of space, the peak-fold curtain is the best solution. Can fold and breaks as it retracts to the same apex as the roof with minimal drop. An elegant curtain – Just like the Stadia Centre Roll curtain, the top Roll as the name suggest utilising the same parts and technology but the Roll is at the top, not the middle. No cables or straps used. Curtain simply winds up on a top drum. Depending on the curtain size, it is operated by one or two internal tubular motors. Each motor has incredible torque with a speed of 14rpm. Each motor is equipped with integral up and down limit switches with locking push buttons and electromagnetic disk brakes for smooth and accurate stop without slippage and allows full braking power in the event of power failure. Internal motor system has a clean look with no wires or cables exposed. Internal driveshaft motors enable lower power requirement and lower torque to move with similar speed as standard external motors. Modelled on our Essential curtain. 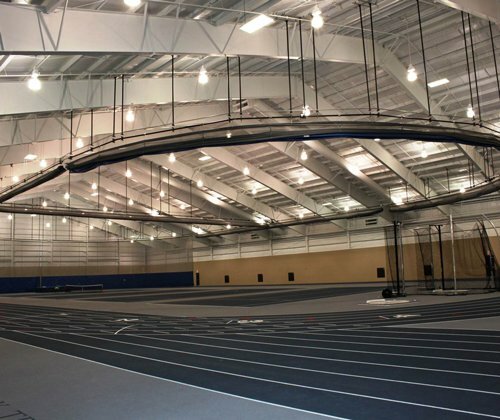 Radius folding curtains as the name suggest follow contours of, for example; an indoor training track, keeping balls on the court and runners out. No expensive support structure required. 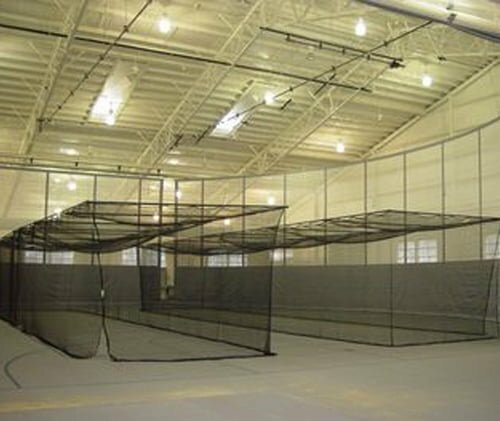 Our indoor batting cage system is an innovative solution ideal for sports like cricket and baseball where an indoor practice facility is required. You can have two, three or four side walls as required, and we can customise sizes, mesh thickness etc to suit requirements. Vinyl:  Marine Blue, Royal Blue, Yellow, Kelly Green, Orange, Navy Blue, Forest Green, Purple, Red, Burgundy, White, Beige, Black, or Grey. Mesh: White, Yellow, Green, Red, Blue, Black, or Grey. To view our colour samples click here. HiTech Sports has more related products available. Go to: Indoor basketball, Stadia, Scoreboards for more information. 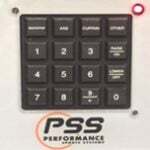 TP Touch pads to run various equipment at once. Replace multiple key switchs with one panel. No keys, just user PIN numbers. Can operate multiple equipment at once as a “group” or individually. COLOUR To view the available colours for the vinyl and mesh click here. BBSS Safety strap for dividing curtains – excludes fittings. BBESEWR Remote Control upgrade for electric motors for court dividing curtains. 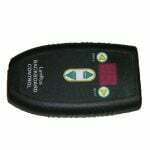 With the correct wiring, both remote and key switch can be used. Must be ordered at the same time as the curtain.